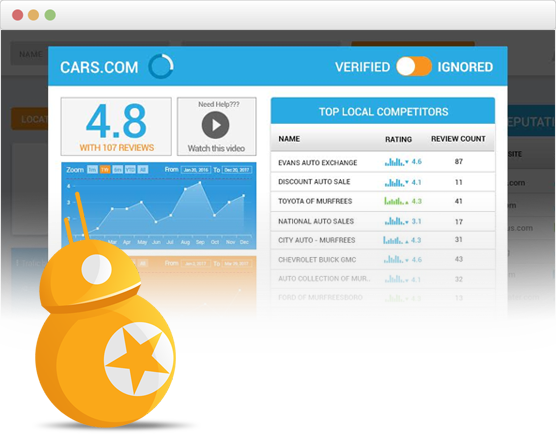 After identifying all the review sites you should have reviews on, you will get reviews from about 40% of your customers and each good review gets sent to the review site it will be most effective on for your business, right now automatically. You will get reviews on ALL sites that matter to your business today and into the future. You will be alerted immediately to important changes in your online reputation so you can react at the speed of business. Google and other major search engines are putting more emphasis on current reviews every time they do an update. 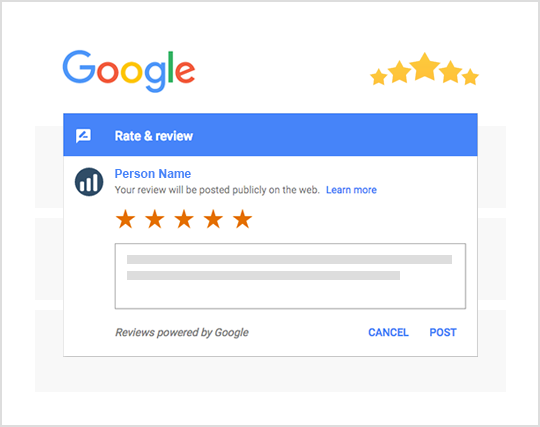 Our users have seen dramatic rank increases on Google when we consistently get positive reviews from their happy customers. Reviews contain keywords which will attract more people to your web presence, increasing your visibility. Do you have a great looking website? Drive traffic from other sites? 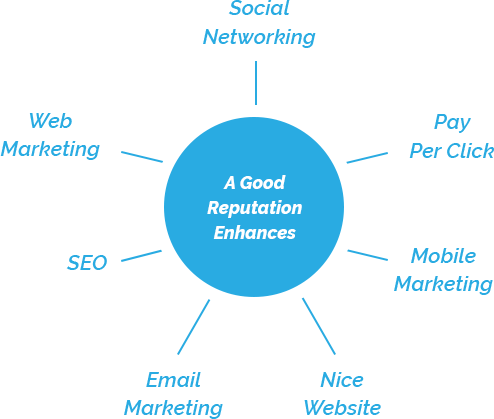 It is a fact that a good reputation increases online conversion rates. Current positive reviews will lower your customer acquisition cost by persuading more people that find you through all of your other online marketing efforts to become new customers instead of choosing the competition. Getting real reviews has never been easy but WOMBOT has automated & perfected the process after helping thousands of customers and businesses connect from anywhere. We ask for the review at exactly the right time, follow up automatically and generate real detailed reviews on average from nearly 40% of customers entered into our system. Any negative reviews get internalized as customer feedback you can use to better your business. 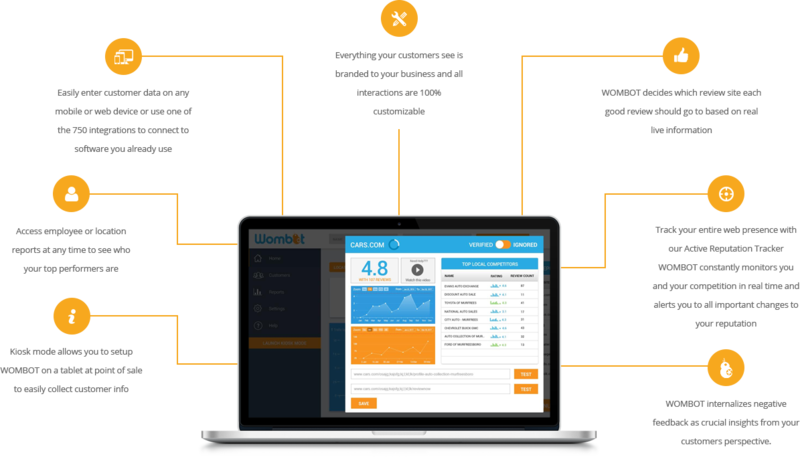 WOMBOT is a one of a kind technology but it takes more than the most advanced reputation marketing bot to be successful and we know that. 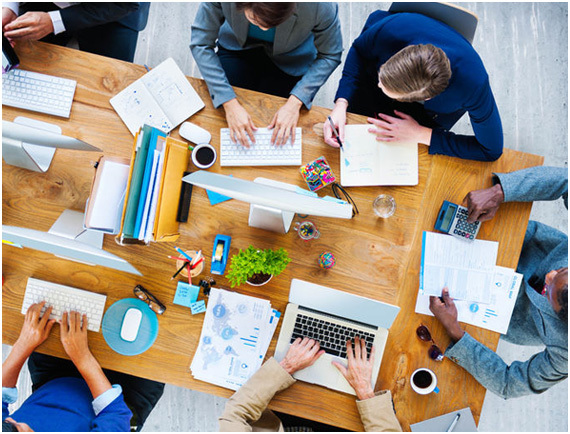 We understand that we are only as good as what we have done for you lately so we work hard everyday to earn your business and when you start using WOMBOT you will be able to talk to a real person almost anytime who wants to understand your business and can expertly guide you through managing your online reputation. We have automated the majority of the process but we still call or email monthly to find out what we can do to better serve your business needs and maximize your reputation.